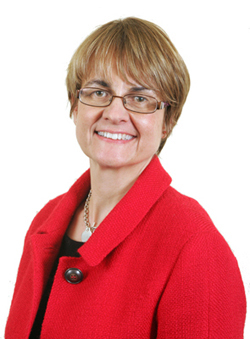 SOUTH Down MP Margaret Ritchie (SDLP) has called on the Assembly’s Health Committee to push the Minister for Health to intervene to restore weekend Accident and Emergency services at the Downe Hospital, Downpatrick. Margaret Ritchie said: “Over the past week we have witnessed a deepening crisis in Accident and Emergency provision in various parts of Northern Ireland. “In South Down we have seen the temporary withdrawal of weekend A and E provision at the Downe Hospital – a precipitous and cavalier decision taken by the South Eastern Trust without prior consultation with the community and those involved in the medical and nursing fraternity. Those sort of attitudes and actions need to change. “The community of Down and Mourne feel they have been left in a position by the South Eastern Trust where their health and well-being has been placed under threat. In such circumstances patient safety should not be placed in jeopardy or compromised. It is the duty of the Trust to protect the health of the local community in Down and Mourne. “In such circumstances, I would urge the Assembly’s Health Committee to immediately make the regional challenges facing Accident and Emergency provision their number one priority and in so doing push the Minister to intervene to ensure the restoration of weekend Accident and Emergency provision at the Downe Hospital. “I understand that the Minister for Health may believe that such issues are operational matters for the Trusts and Health and Social Care Board. Surely in a situation where the some of the Health Trusts are struggling to deal with long queues in Accident and Emergency Departments, and the shortage of middle grade doctors, and operational decisions are a consequence of policy decisions upon which the Minister for Health has direct authority and oversight, it is now time that the Minister made a direct intervention. “The Assembly’s Health Committee has a direct role in this matter as it scrutinises the work and policies of the Minister for Health and his Department. Now is the time for the Health Committee to step up to the plate and put pressure on the Minister for Health to ensure the restoration of weekend Accident and Emergency provision at the Downe Hospital. “It is also time for the Minister for Health to ensure that the South Eastern Trust comes forward very quickly with a plan which makes provision for the restoration of weekend Accident and Emergency cover in the Downe Hospital. That is what the people of Down and Mourne demand and deserve,” added Ms Ritchie.